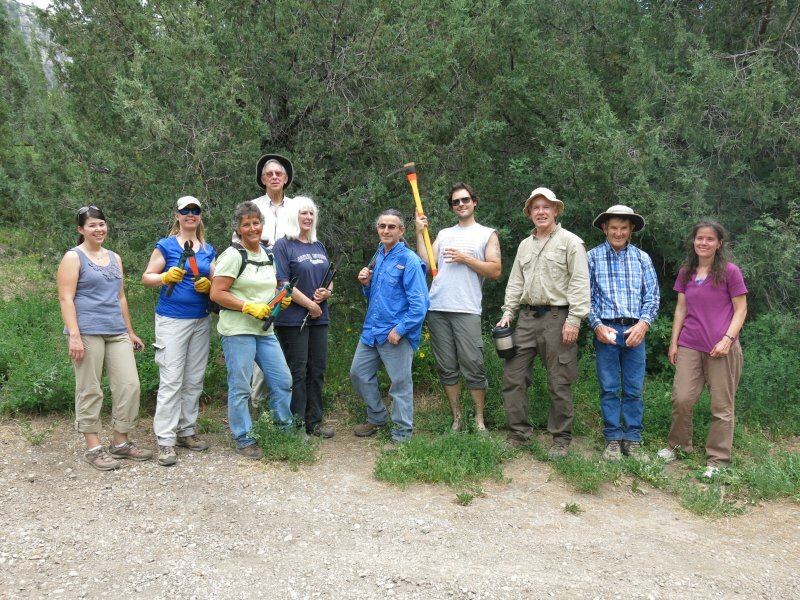 Eleven hikers made a big difference in the condition of the Card Canyon East trail on Saturday, June 29, 2013. 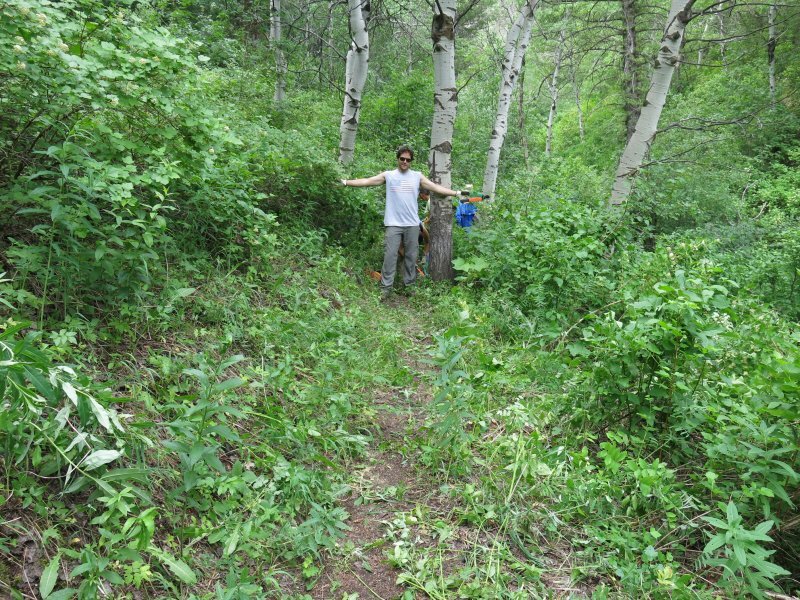 The group continued the efforts from last year brushing out the overgrowth. In spite of the high heat in the valley, the morning work on the shady trail was quite pleasant. Along the way we saw geraniums, monkeyflowers, violets, columbines, lupines, clematis, a decomposed skunk, and an elk leg, Loppers, clippers, and a couple of saws were in steady use for about three hours, then the obvious progress was admired as we stopped for lunch and hiked out, returning to Logan at 2:00 p.m. Many thanks for help from these hikers: Jane, Dave W., Ron, Diane, Roddy, Terry, Denis, Gordon, Alex, Stephanie, Florence. 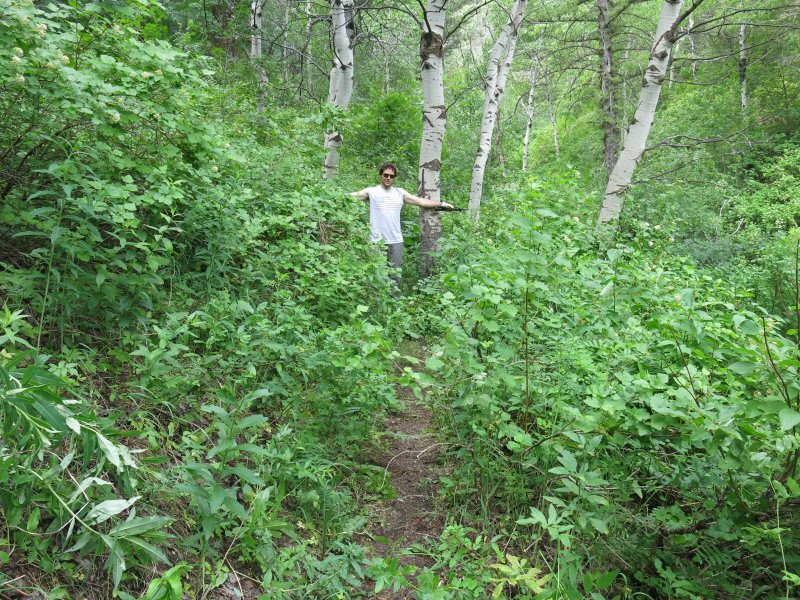 We cleared 0.18 miles of trail!